Most of the time, home and business owners are lucky enough to get through a natural disaster with relatively minor damage to their property, or even none at all. However, each type of disaster does have the capability of causing serious structural damage that can put your home or building out of commission. Severe weather including flooding and storms can cause extensive property damage, as well as fires, mold growth, and accidents. If your home or building is heavily damaged in a disaster, it is very important that you call a professional for assistance as soon as possible. 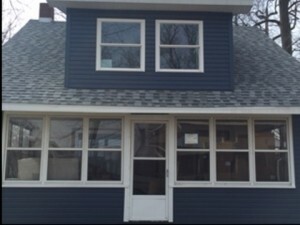 ServiceMaster by Restoration Contractors provides interior and exterior construction services in Fort Wayne and all of Northeastern Indiana to help repair major damage to homes and commercial buildings. We have a skilled construction crew that can effectively stabilize and evaluate the damage, as well as carry out a complete construction plan to return your home or business to its original condition. 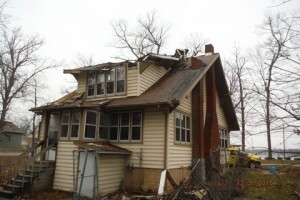 Experiencing extensive damage to your property is overwhelming and the aftermath can be chaotic. It is important for you to call our construction experts immediately after sustaining major damage to your property. Our technicians will arrive quickly to stabilize your home or building and begin the construction process to effectively salvage your property and personal content. We will create a detailed construction plan based on our evaluation that will involve restoration and construction work to repair all damage on the interior and exterior of your home or building. You can trust our construction staff to effectively implement every step of the construction plan, and we will communicate with you throughout the process to keep you updated. General construction work such as painting, carpentry, plumbing, roofing, siding, remodeling, electrical work, flooring, etc. If your home or business in Fort Wayne or any other place in Northeastern Indiana has experienced severe damage that requires construction work, make sure you contact ServiceMaster by Restoration Contractors right away. Our skilled and experienced construction crew will work to stabilize the damage and create a clear construction plan that will give you some peace of mind. You can reach us 24 hours a day at (260)420-1502 for emergency interior and exterior construction services.